It’s flu season once again. Given that this blog originates from a desk located in the northeastern United States, we can tell you that the flu has hit here with a vengeance. H1N1 is back to visit and was predominantly prevalent across the United States with influenza A (H3) showing up across the southeastern U.S., as well. For those with any type of existing respiratory condition, there have been reports of the ailment greatly affecting breathing to the point of hospitalization and in some cases presenting with parallel pneumonia diagnoses. Is the flu an ambulance emergency? On the surface and in contrast to the many emergencies we all handle on a daily basis, it would appear that the famous “flu-like symptoms” alert doesn’t cut it. But let’s take a step back. A quick check on the Centers for Disease Control and Prevention (CDC) website finds the number of deaths in the United States resulting from the flu totaling 2,905. Death occurs at a rate of 0.9 per 100,000 population. 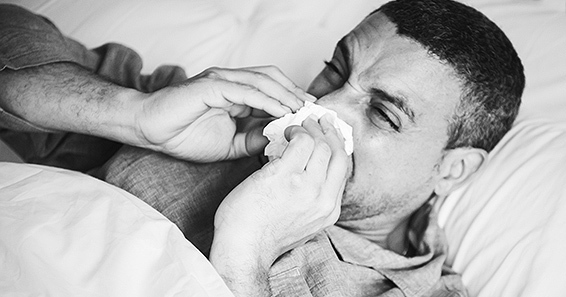 The CDC cited a cumulative rate of 9.1 laboratory-confirmed influenza-associated hospitalizations per 100,000 population through the end of Week 1 of 2019 (week ending 1/5/2019.) Among adults 65 years and old the hospitalization rate spikes to 22.9 hospitalizations per 100,000. So, with that kind of proliferation in a short window of time, it would seem especially given the spike in the over-65 rate of hospitalizations that EMS will see our fair share of inclusion given the severity of the uptick. So, how are we going to properly document the medical necessity of a patient in our run sheets when we are transporting as a result of being alerted for flu-like symptoms? Always paint a picture in words about your treatment and transport scenario. To meet medical necessity guidelines for payment from Medicare, Medicaid and commercial insurances alike, we must always remind you that it is vital that the patient’s medical condition be documented in sufficient detail using clear clinical documentation. It is our burden to document with enough detail to support, when billing, that transportation by any other means other than in an ambulance vehicle was contraindicated for your patient. Your task as the patient care provider following a flu-related transport is to describe the patient’s condition in full including all assessments, treatments and numeric values to objectively provide enough information that there is no question that the patient needed the ambulance to move from one location to the other. Of course, always keep in mind since we are often referring to older patients in the context of ambulance transportation for flu-related conditions with many residing in extended care facilities; it is important to document why the patient could not be adequately treated for their symptoms at the facility where they reside. In short, was the trip reasonable in nature given that the patient receives some level of professional care at the facility. Now, let’s brainstorm all the “stuff” that we may need to include in the document on our Patient Care Reports (PCRs). ← Shutdown and ACA- What’s Next and How Will They Affect the EMS Bottom Line? Home Influenza. The Ambulance. Documentation.